Shrewsbury has a special top-of-the-world feel. You can see for miles and miles from Maple Crest. 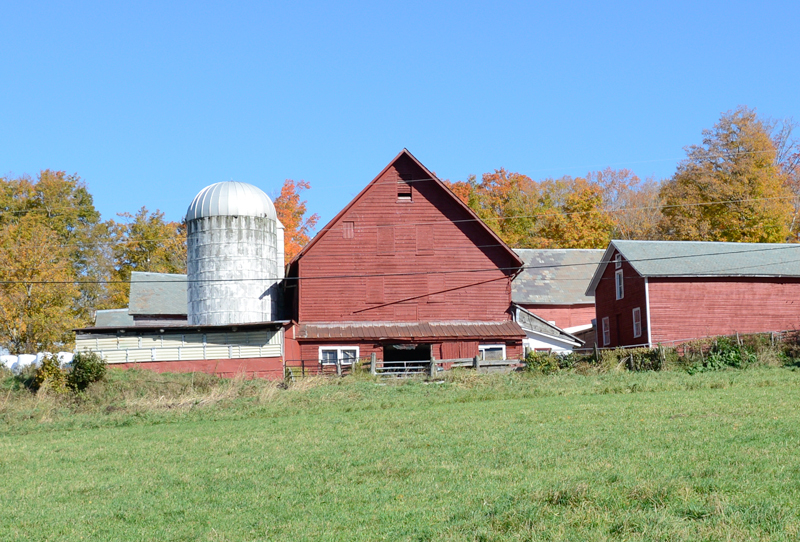 The farm has been in the Smith family for many generations. Luckily for me and my friend Jackson with his video gear, there were no bulls in the lower meadow last week. Scroll down below for the video! Thanks for sharing the video, Peter. I loved listening and watching your painting unfold. So beautiful! Thanks Marcia, glad you enjoyed it! Awesome once again!! 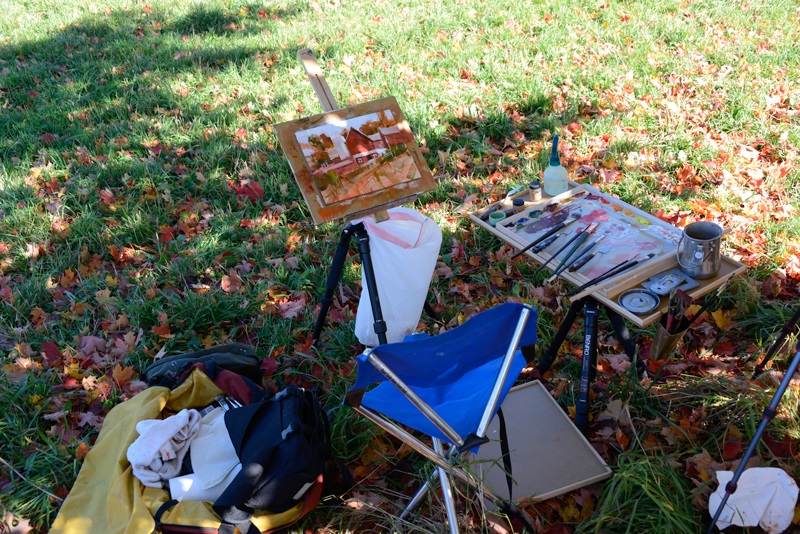 You have an uncanny ability to capture the feel and spirit of Vermont whether it is a landscape or streetscape. Your paintings always make me smile and appreciate moving to Vermont 34 years ago today. Thanks so much for sharing it with the world. Good morning Bob, Thanks so much for the nice comment! Thank you for your beautiful artisan craftsmanship as well. Your frames make my paintings look their best. You know you are always welcome Sebastian! And yes, that wind was cold. It’s gonna get colder! This is another great piece. Thank you for sharing your work, your thoughts and a bit of real Vermont with us. 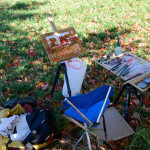 I enjoy watching you paint and share your love and excitement fpr your craft. We are having fun now Michele, thanks! Peter – you are consistently inspiring me and so many others! Thank you from the bottom of my heart for sharing your journey with us! Thank you Michele, I hope you know how much that means. Peter, You were right – the video is wonderful! Thanks for sharing. Jackson is an amazing artist with that video camera. Hi Peter, I always have a little sadness when Alan and I drive home. It seems to get harder to leave every time. 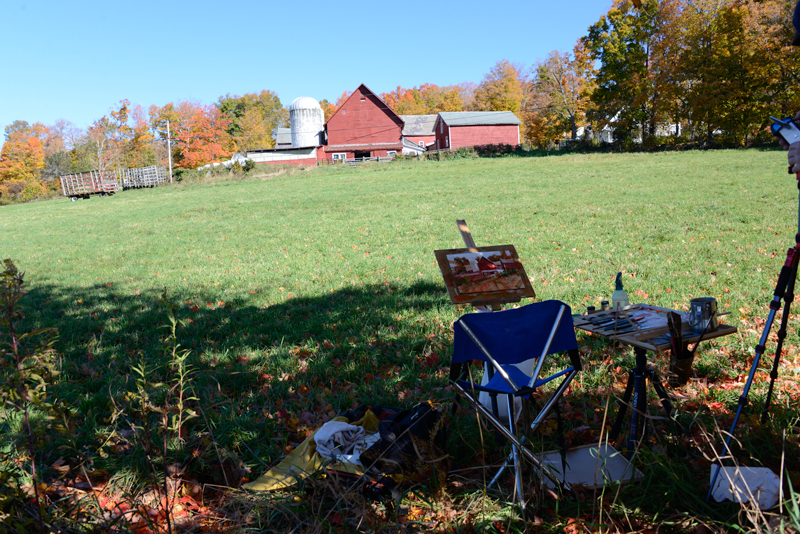 Thanks to your paintings, and in particular, this video, You bring us back to Vermont every Monday and Thursday. This is a wonderful painting and sharing your process and thoughts make it all that more interesting. Who knew that rock climbing and bull spotting are in your job description. Many thanks for another great Monday! Great to see you guys, and I’m glad I can help keep a little Vermont in you life even when you are not here. What fun watching! And I thought crossing Rte 103 was dangerous for you. The picture is beautiful. Yes Diane, the life of an artist has lots of hazards and dangers. Bulls, weather, critics, self doubt, and such. Thank you Peter Huntoon!I have a print framed beautifully of my Main Street in Poultney hung prominently here in my home in Keller, TX! Beautiful work of our beautiful Vermont! I’m proud to have my art in your home Beverly, thanks! I get a little vacation with every video. What a stellar weekend we had in the northeast. Thanks again for sharing! It sure was a great weekend Sue. Glad you enjoyed the video! 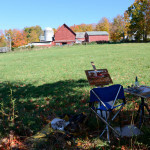 I love sharing a unique Vermont experience through my art Deanie. It’s a win-win. That is so fun to watch! Thank you for sharing! Thank you Maddy! I think Jackson and I make a good team out there. I just paint and he makes magic out of it. 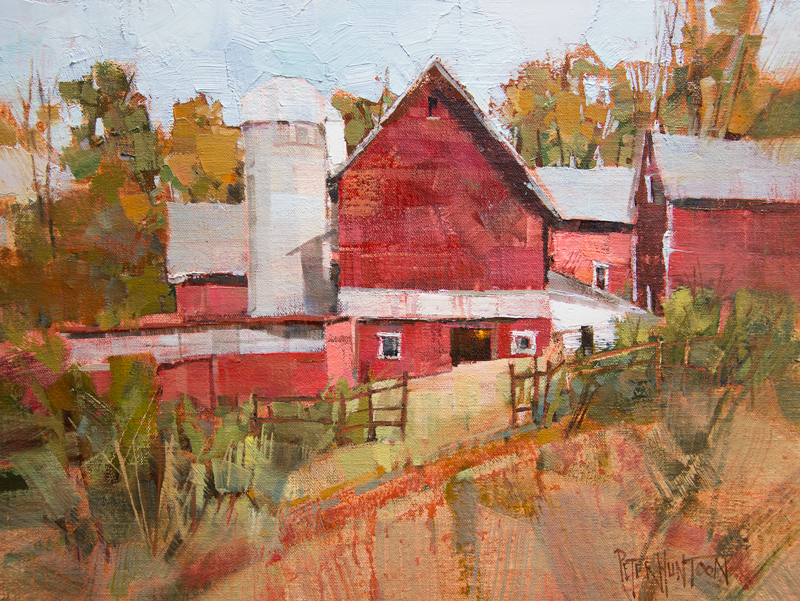 Another painting perfectly capturing the essence of the Vermont countryside! Thank you for sharing. Enjoyed the video Tony. Thank you. Beautiful location and beautifully captured. I don’t know what I like better, the video, the narration or the artwork.